Samsung has announced a few new tablets this year, but so far, none of them have come to the United States. If you've been waiting with bated breath to buy a mid-range Android tablet (surely there are at least one or two of you out there! ), the Galaxy Tab S5e and 2019 Tab A 10.1 are coming to 'Murica on April 26th. The Galaxy Tab S5e was announced in February, and will cost $400 in the U.S. 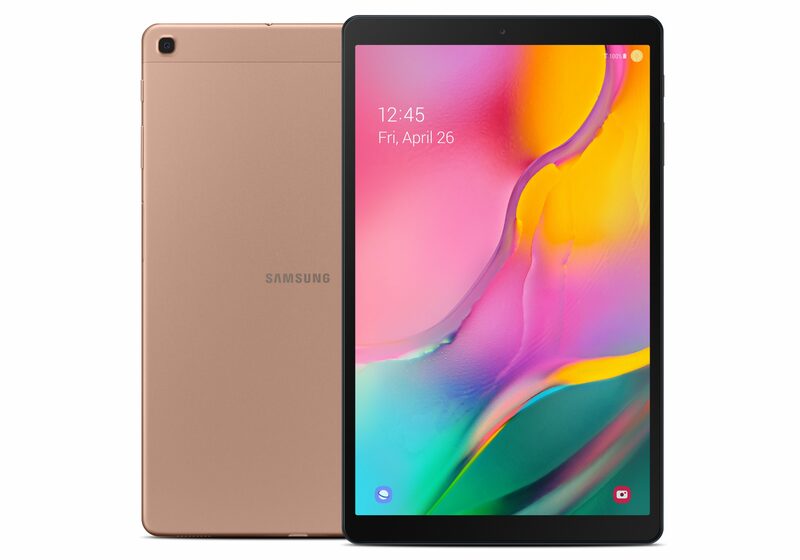 Considering the more-powerful Galaxy Tab S4 is now priced at $530, and you can get an iPad Air for $500, the S5e isn't a great value. It still has a 2560x1600 AMOLED display, but its paired with a less-powerful Snapdragon 670 processor. There's also no S-Pen support. Still, if you just want something to watch movies or write papers on (there's a detachable keyboard sold separately), the S5e will do the job just fine. The 2019 Tab A 10.1 (pictured at the top of this article) is a step down, and is already available in Germany and other regions. It has a 1080p LCD screen, 2GB of RAM, a 6,150mAh battery, and stereo speakers. The processor for the US model isn't mentioned, but the European version is equipped with an Exynos 7904. Pricing is set at $230. SmartThings Hub should be installed to connect and control devices through the SmartThings app on the Tab S5e. Bixby 2.0 will be supported via MR and released in a later software update in 2019. Call & Message Continuity functionality will be available in the US starting April 26, 2019 on T Mobile, Sprint and US Cellular networks and requires a compatible smartphone. Data charges may apply. Call & Message Continuity feature must be activated in Settings>Connection. Requires a Samsung Kids subscription, starting at $7.99 per month.